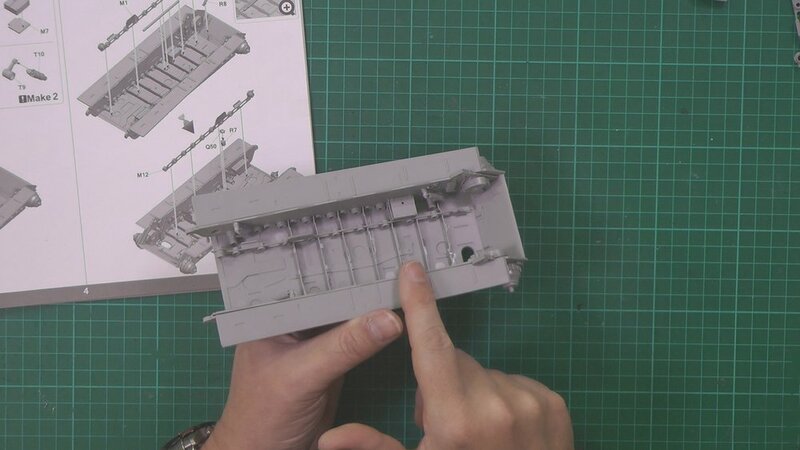 In Part One, We look at the build ahead and start work deep in the lower hull. In part Two, we carry on the lower hull construction and then move over to the spray booth to get the Red and White Base colors down. 00:00 Finishing off the final construction detail of the lower hull. 26:30 We unmask and see what we've got. 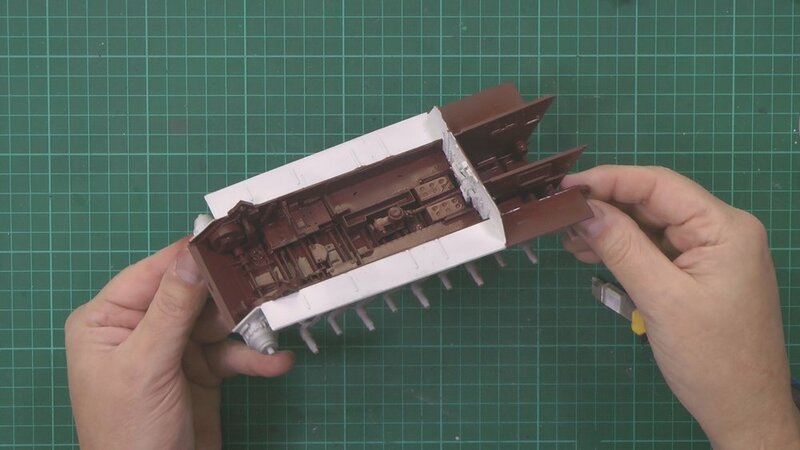 In Part Three, we start on the weathering with the engine and then the lower hull. 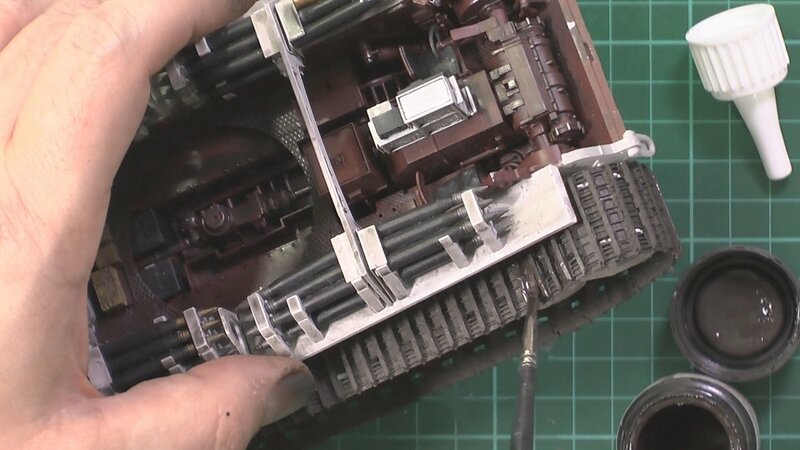 In part Four, we install the engine and add all the cooling system. 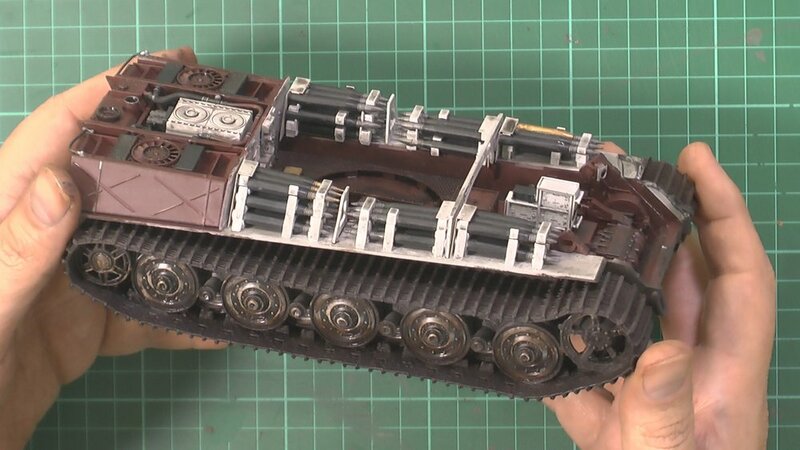 In part Five, we finish off weathering the lower hull and install all the shell racks before starting work on the upper hull. 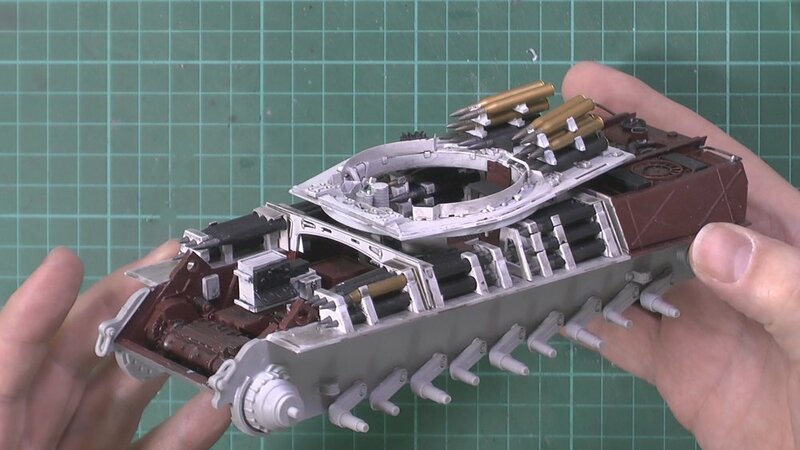 05:50 Using oils to weather in the weapon racks and shells and further weathering in the lower hull. 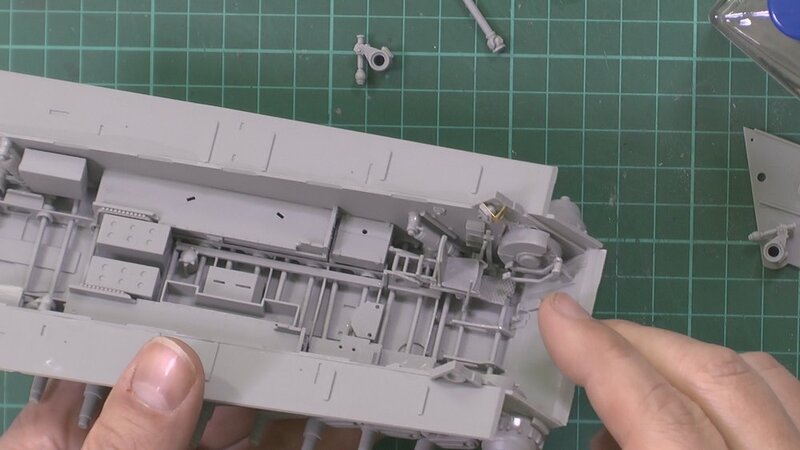 14:30 Starting work on the upper hull and install the engine covers and adding the PE grills. In part Six, we work on the upper hull not without a few mistakes from myself that needed to be fixed. 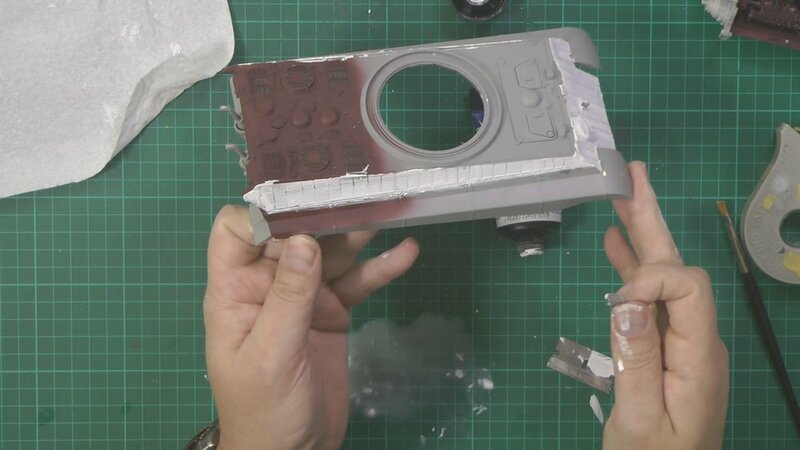 00:00 Installing the upper hull armour. 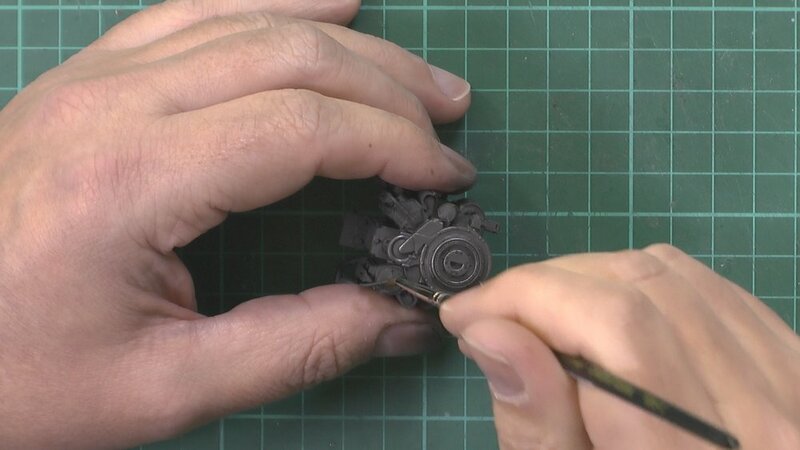 04:15 Fix a missed place part of the armour. 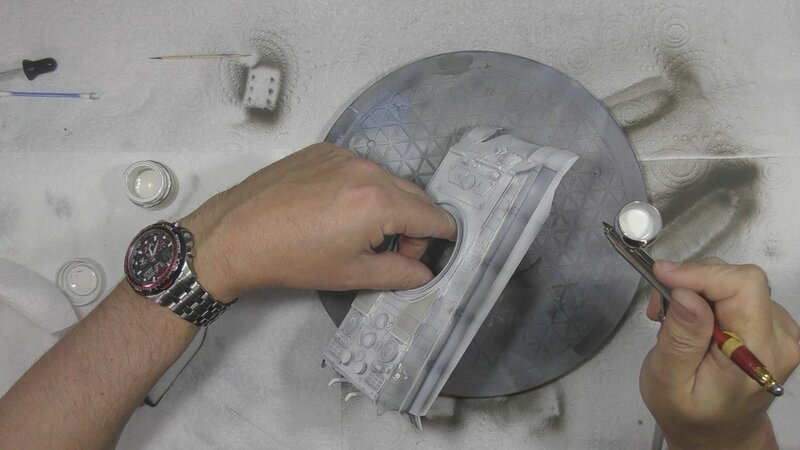 15:15 Into the spray booth to paint the Upper hull. 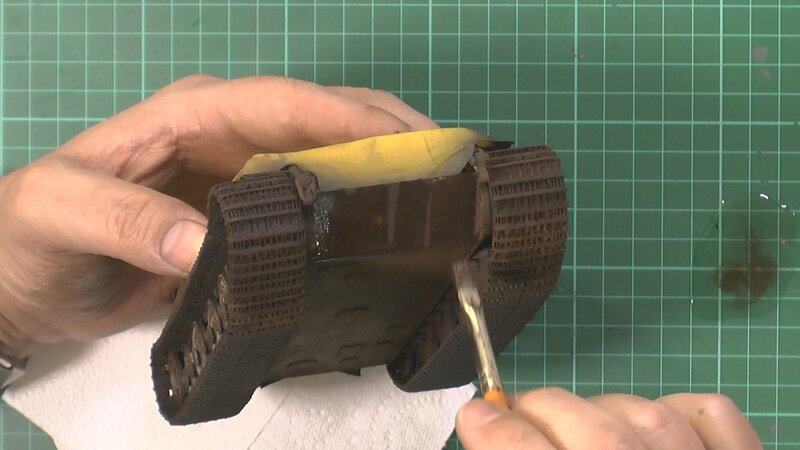 In part Seven, we finish of the upper part of the lower hull and start work on the turret. 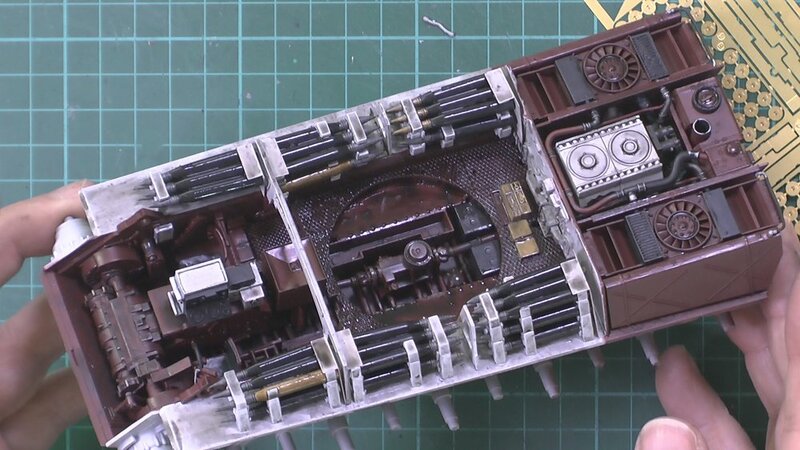 00:00 Oil wash and blend the Upper lower turret. 13:22 Add the rear plate and exhausts etc. 23:20 Working on the turret roof. 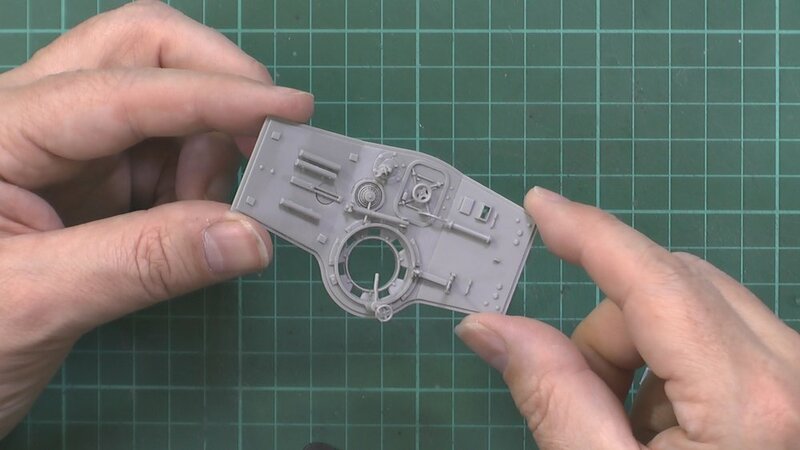 In part Eight, we work on the lower turret area. 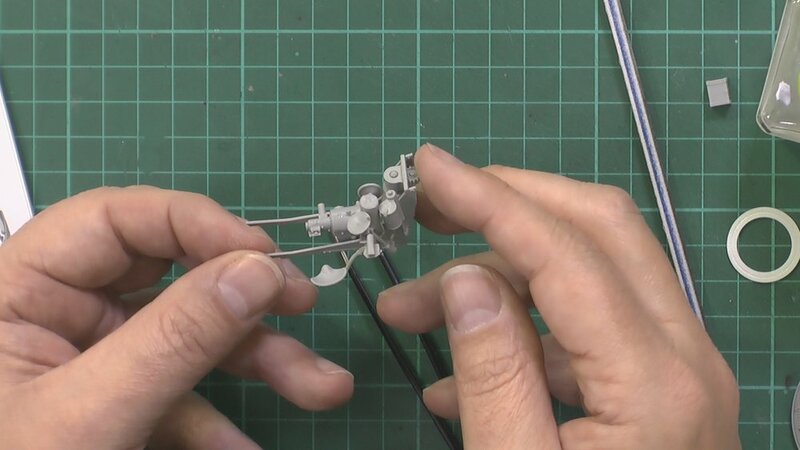 In part Nine, We paint and weather the workings of the lower turret and build the main gun. 25:40 Installing the tracks and touching in. 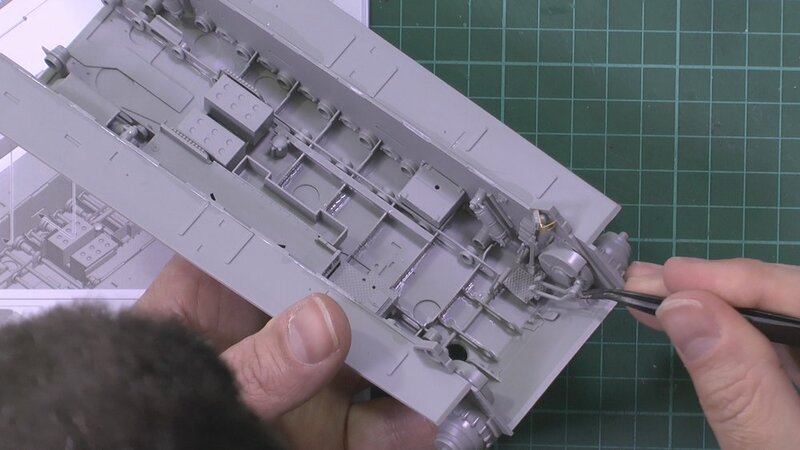 In Part Fourteen, we work on the painting and weathering of the upper hull. 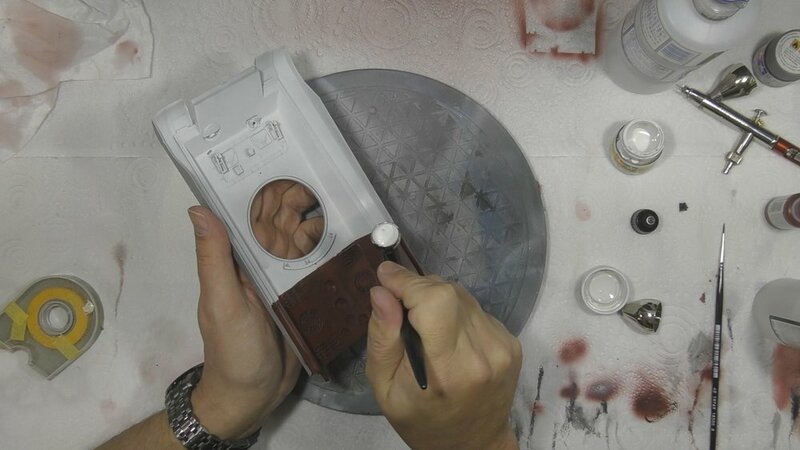 00:00 Airbrushing on the White winter camo with a Mix of Tamiya XF-2 and a few drops of Buff. 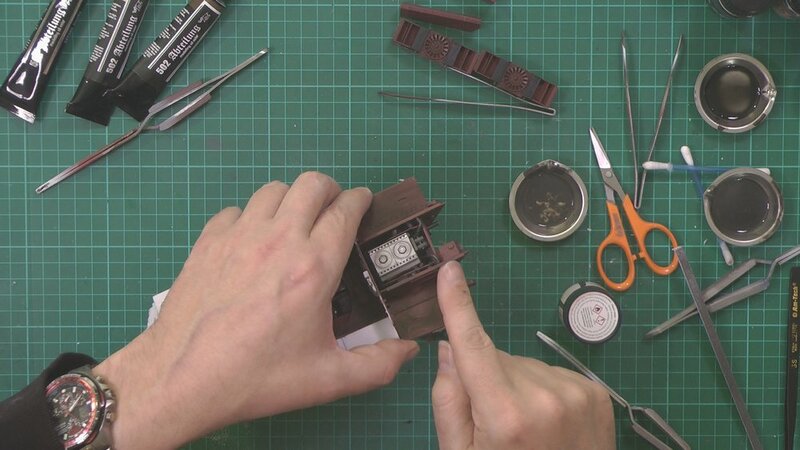 In part Fifteen, we add more weathering with a detailed wash of thinned oils and the with neat oils and blend in. 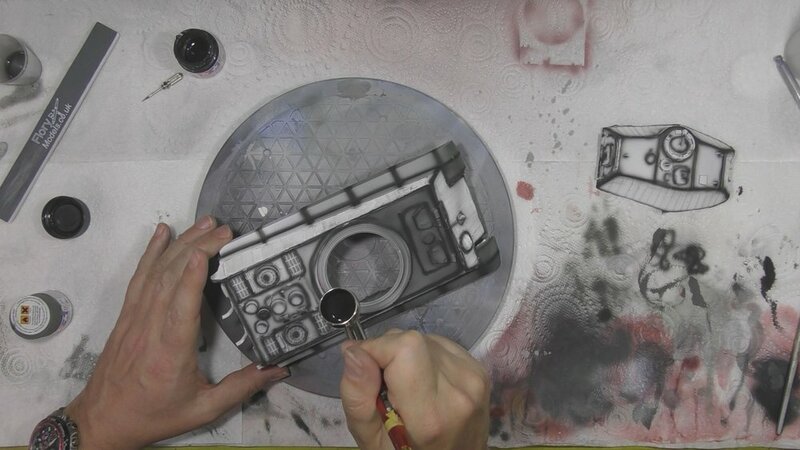 00:00 Add the final wash made from light sand and medium mud pigments. 25:30 Final thoughts about the kit and build and the reveal.